A while ago, I did a post on my favorite shows, and not only was it super popular, I had SO MUCH FUN fangirling over them, so I’m back at it again- except with movies!! So, my love and obsession for this movie usually makes a cameo in all of my posts, usually in GIF form, but sometimes incoherent rambling. The reason why I love this movie so much is just because it makes me so happy- it’s about a girl following her dreams!! Also, the relationship between Eugene and Rapunzel is one of my absolute favorites and all of the songs are BOPS. Add in the aesthetic of the movie, and it’s just AWESOME. Even though that’s going to be a theme throughout this whole entire post, I just REALLY needed to say that about this movie. Even if you’re not the biggest superhero fan (I am, so that just made the movie 1000 times better,) this movie is really about family and friends and letting people into your life. The banter between Batman and the Joker is HILARIOUS and it’s honestly one of the best parts of the whole movie?? Also, Robin is the cutest person ever and he NEEDS a spinoff movie right now. This is actually one of the only live action movies I’ve seen that I’ve genuinely liked- that may have something to do with the fact I really only watched animated movies, but THIS movie… is AWESOME. This movie kept me at the edge of my seat the whole time! (or maybe the edge of the floor because I was sitting on the ground?? 😂) I just LOVED the suspense and the side characters SO MUCH. (They MAY have been better than the main characters…) Also, while there are some suspenseful scenes, this movie wasn’t super scary, which rocked! This movie is a favorite in our family- we watched it during our movie night and we COULDN’T STOP LAUGHING. Along with all of the funny moments, this movie is also pretty suspenseful!! Again, it’s not too scary because I CAN NOT watch scary movies. Nope. Not happening. That’s it for today! I haven’t seen a lot of movies recently, but there are some in cinemas that have caught my eye! I had SO MUCH fun writing this post, and I hope I can make a part 2 soon! Have you seen any of these movies? Do you have any recommendations? Do you prefer animation or live action? I’m going to say the most cliché thing ever right now, but 2018 went by in a flash. It’s insane how much happened this year!! In this post, I’ll go over everything that happened!!! This was probably a highlight of 2018! I was a lot more social in the blogging community, and I’ve made some of the best and closest friendships through this blog! I wish I could name all of the bloggers who have made my time here amazing, but then WordPress would probably crash because I would not be able to name everyone!! I was also a lot more social in real life- I (tried to) stress less about school and instead enjoy time with my friends. While it wasn’t 100% successful, I still made awesome memories with my friends! I FINALLY READ THE MOST HYPED BOOK EVER. And BOY, did it live up to the hype!! I did read Six of Crows, and while that was great, Crooked Kingdom was just…. wow. I really can not put into words how FANTASTIC THIS WAS!! I feel like if I read this book now, I would not enjoy it that much, but this book has a special place in my heart because it introduced me to thrillers!! (This is more contemporary than thriller, but small Sapphire thought that since someone died it was the ultimate thriller filled with LOTS of suspense!!) However, the thing I loved the most about this book WERE THE CHARACTERS!! Everything from Nate’s relationship with his parents to Addy’s development was just.. perfect! And… my favorite series is over. I’ve been with this series ever since the second book came out, so it feels like I’ve watched these characters grow up and I DO NOT accept the fact that they will never return. 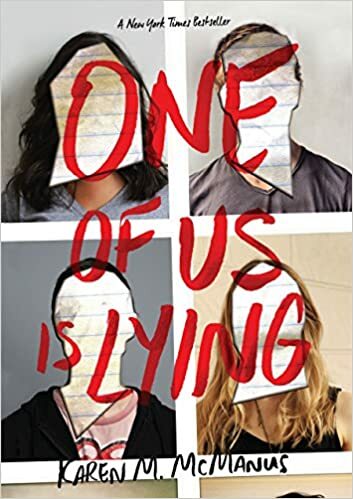 While this book wasn’t my favorite of the series (it wasn’t because it was bad- the others are just SO GOOD) it made me SO happy to see all of the characters together again and I’m definitely going to demand for another book in this series. So the next book in this series comes out in two weeks and I don’t think I’m emotionally prepared for it. This book is very near and dear to me because it not only got me out of a reading slump, but it is also probably the best high fantasy books I’ve ever read… and I’ve read a lot of those. Also, the sequel is supposed to involve more angst and drama between Cardan and Jude and I’m so here for it?? Anyways, you can find me at Barnes and Noble on January 8th buying all of the copies of the Wicked King. I did not expect to love this book. I was expecting some student drama and maybe sadness, but I did NOT expect strong family relationships, an epic squad of passionate girl hackers, and a MYSTERY?? I did have some problems with the romance though?? I’m not a huge fan of the friends-to-lover trope, but other than that this was a fun and quick read!! it also makes me terrified for the college application process though oops. This is by far the most random one on this list, but I also feel like it’s super important because musicals have a special place in my heart now! I actually have a full blog post on this coming up in January, so stay tuned! This is actually a huge lie so we’re moving on. If you have been reading my blog for a while, you know that I’ve started a bunch of writing projects, but this year was the year that I became a lot more passionate and dedicated to writing! My current WIP is at about 23K and 65 pages, which is the longest I’ve ever written!! I hope I can finish it in 2019, but that may require an endless supply of chocolate. I played around with my blog a bit this year, and I’m happy about the variety of posts! I started posting about books more, followed a lot more book blogs, read more popular books, and fangirled with fellow bloggers! Also, speaking of books, you can find my goodreads here! I have had a goodreads for a while, but I wanted to start fresh (new year, new me!!! *) and create blog related one! I also am going to try (keyword: try) to keep up with 2019’s reading challenge and write more reviews, which is exciting! I am BLOWN AWAY by the support I’ve gotten!! When I started this blog, my goal was to hit 20 followers, and here I am with seven times that amount?? I can’t believe all of the love and support I’ve gotten from all of my followers!! Now onto looking forward to 2019!! Expand my blog- try blogging more often, trying different forms of social media, etc. Along with books, I really want to read a book in a different language- I’m fluent in 2 languages and semi-conversational in another, so I hope that I can do this! Be more social in real life and get out of my comfort zone!! That’s it for this post!! I hope your 2018 rocked, and your 2019 is even better! Did you read any good books this year? Do you like any musicals? DO YOU WANT RECOMMENDATIONS?!?! Were you actually organized this year? Do you make New Year’s Resolutions? So I have 20 tags I need to catch up on, so I obviously created a new tag. Anyways, here’s how the tag works!! 1) Link back to my blog so I can read your lovely posts! 3) Choose one random character and one random world. 4) Determine whether that character would survive that world/book. I hope that makes sense?? Anyways, I hope it does after you read this post!! The second I read the name and setting, I started laughing. Since Percy technically has powers, he would probably be classified as a silver blood. However, since Percy is such a loyal and caring person he would probably try to help the red bloods, which would probably lead to either arrest or dying. BUT he escapes death 628 times in his series, so he would probably escape death in this universe?? *Y’all I’m listening to the Lightning Thief the Musical the soundtrack so yay!!! I threw in Disney movie just for the heck of it, but now I’m thinking really hard about this?? Sophie would probably fit perfectly in the setting (she’s an elf AND has an alicorn friend?? ), but I don’t think she’d be a huge fan of bursting out into song. I can TOTALLY see Hermione and all of the Athena kids being best friends?!?! (Please tell me I’m not the only one XD) Also, she can use magic, so she can magic away* all of the monsters!! Okay now I need a Harry Potter/Percy Jackson cross over. *is this even a phrase?? “magic away”?? I love Anne, but if she made it on a spaceship in the first place before the planet exploded- (Minor) SPOILER ALERT!! HIGHLIGHT TO SEE SPOILER!! !- I don’t think she’d survive the evil AI/AIDAN controlled robots. END OF SPOILER There’s just TOO many death traps on those spaceships. When I first read this, my first thought was “no way”, but now that I’m thinking about it, she may survive? If Lara Jean did end up getting reaped and participating in the Hunger Games, she could probably use her SUPER cooking skills to find food in the wild, but in the end, I don’t think she’d have it in her to kill someone. There’s no way I could survive the world of Scythe. I feel like it would be just my luck to get gleaned?? Or maybe I would do something dumb and anger a Scythe?? However, I’d probably survive a long time if I hid in the middle of nowhere- all I’d need is a lifetime supply of gelato* and books!! But then a Scythe would get mad at me trying to escape death and come glean me. * my obssesion with gelato is actually unhealthy. That’s it!! I hope you enjoyed this tag!! Also, if you’ve seen this tag done before, PLEASE notify me immediately. I personally have never seen this tag before, but that doesn’t mean it’s been done before!! Thanks to Annie Splatt on Unsplash for the featured image photo! Hide and Seek Blog Tour- Character Interview with Amara! Hi there! Today I’m SUPER excited to be participating in the Hide and Seek blog tour! Hide and Seek is Mya’s novel, which is being released very soon! Today, I have the honor of interviewing Amara Clark, the protagonist of Hide and Seek! One signed paperback copy of Hide and Seek! 1) Hi Amara! How are you doing today? Anything exciting happening soon? Hi! I’m doing good, thanks. Eh, my birthday is in a few months. But as of right now, Silverton has gone back to being quiet and uneventful. 2) If you could describe yourself in only three words, what would they be? Hmmm… Artistic. Impulsive. And loyal. 3) Do you have any siblings? In your family, who are you the closest to? No. My parents are divorced and my dad lives in England with his new family. So it’s just me and my mom. 4) What’s a hard decision you had to make? Trying to find Asher. I wanted to protect my best friend Rowan, my mom, and Asher all at once. I had to make a lot of hard decisions on how much I was willing to risk. 5) What song embodies your experiences and your personality? I’m not sure! I can’t think of anything… maybe Leave the City by Twenty One Pilots? 6) What’s something you’ve done that you’re really proud of? Excluding everything that has to do with Asher’s disappearance and all the adventures surrounding that, something I’m really proud of is becoming friends with Rowan. We became friends after I confronted the losers I saw bullying him, and if I hadn’t decided to stick up for him, who knows where I would be. Well, I know. I would be friendless and lonely and afraid. I never could have faced anything that I have if it hadn’t been for my best friend. 7) What’s your greatest fear? 8) Are you an active person? Do you enjoy sports/physical activities? I don’t like team sports, but I enjoy hiking. It’s my favorite form of exercise because I get to enjoy the outdoors at the same time as I’m keeping myself healthy. 9) What always makes you smile, no matter how sad you are? My friends. Being around them puts a smile on my face, because no matter what we may be going through, we’ll all be in it together. Thank you so much Amara! I hope you enjoyed the interview! I hope you check out Hide and Seek! I can’t wait for it’s release! I haven’t been posting because I’m VERY stressed, but that’s perfect for today’s post! Basically, I have a lot of work, school and non-school related, but also other personal stuff. No joke, my calendar is FILLED with a ton of stuff I have to do!! Whenever I had free time, I usually worked on NaNoWriMo (National Novel Writing Month) stuff- I’m pumped this year! It’s a great event that’s helping me achieve my dream of becoming an author! The ONE pro of being so stressed is that now I know how to destress!! Today, I’ll be sharing some of my favorite ways to destress! There are DEFINITELY benefits of social media, but it can be kind of stressful. Trying to keep up with whatever’s new and stuff like that can also take up a lot of time being productive. If you know you’re going to be busy in the coming week or month, deleting your social media apps and going on a ‘social media’ cleanse can be helpful! Baking is awesome- the whole process is relaxing, and then you get FOOD?! Baking is actually pretty easy- you can find tons of recipes online, and they smell wonderful while baking! Baking with friends and family is also fun- but make sure you clean up the huge mess afterwards! If you are a not athletic person (like me!) trust me- stretching is SO AWESOME! I didn’t actually start stretching often until last year, but I stopped for a while because I was, well, busy and stressed! I just recently got back into it, and oh man, does it feel AMAZING! If you want a shortened version of my About Me page, here it is: My name is Sapphire and I’m obsessed with tea!! There are SO many types of tea out there- fruity, herbal, and even more- but no matter what flavor they are, they always calm me! The handy dandy thing about tea is you can drink tea while doing other things- writing a blog post, watching TV, whatever you want! I’m pretty sure it’s no surprise when I say my favorite movie’s Tangled. I’d recommend watching Tangled a childhood favorite because it’s nostalgic and amazing and wonderful!! Thanks to Anna Sullivan from Unsplash for the gorgeous featured image photo! Also, thanks to the fellow bloggers who helped me with featured image platforms- Canva works great, and I’ll definitely use it more in the future!! However, I realized I have tons of tags I need to catch up on! I’m starting with the WIP in GIF’s tag (thank you SO much Audrey for tagging me! If you haven’t checked out her blog yet, go check it out now! Her posts are always amazing and she’s a wonderful writer.) In the next week or so, I’ll be catching up with the rest of the tags, so look out for those! Anyways, we’ll start with the GIF’s, then I’ll talk about my new WIP!! A Disney GIF? What a surprise!! I originally put this in because it’s Supergirl but it does relate to the story! A rare time when two characters are happy!! YAY!! Those are all of the GIF’s for now! As for my actual WIP, I’m not going to be sharing much. *evil laughter* I basically shared every single detail about my old WIP, so now I’m being secretive! However, I will share a snippet or two! That’s it for today! If you like the WIP in GIF’s tag, consider yourself tagged!! I hope you liked the snippets! Are you currently working on a writing project? Do you like to write? Do you have an unhealthy obsession with GIF’s? My All Time Favorite TV Shows!! I watch a variety of shows- from cartoons to game shows to action shows (is that what people call them?? xD) Today I will be talking about my favorites! Tangled is my all time favorite movie, so I was so excited when the series was released! I FINALLY FIGURED OUT HOW TO INSERT GIFS!! I thought that it was going to be a cute cartoon, with no plot and two-dimensional characters… but I was WRONG. The plot and conflict are great, but the CHARACTERS?! Rapunzel, Eugene, and Pascal are in this series, but there’s more characters, including my smol child Varian! Also, the relationship between Cassandra and Eugene is hilarious! Anyways, if you don’t watch this show, you should at least listen to the soundtrack… which I’m listening to right now!! The song I’m on right now is “Ready As I’ll Ever Be” which is SOoooOooOo gOOd!!! I don’t even know where to begin with this show.. oh wait! I do!! This is such a diverse show!! It deals with really important topics like immigration and feminism. The cast is really diverse- two of the main characters are POC, there’s a gay couple, a first generation Latina character, the president is a woman, and in the next season there’s going to be a trans character!! This show also makes me laugh really hard. I’m only on the third season, but this is a really good show! It follows a man named Oliver, who has been presumed dead for 5 years. When he comes back home, he becomes a vigilante and tries to rid his city of crime. I like the fact that this show is realistic- the good guys don’t always win. However, the reason why it ROCKS is one reason- My Queen, Felicity Smoak!!! I couldn’t find more gifs because I’m trying to stay away from the fandom due to SPOILERS!! Anyways, she’s a queen!! I love her!! I adore cooking shows, and this is by the most entertaining one I’ve ever seen! I don’t know how to really explain this, but chefs have to cook the same dish, but they are sabotaged by their opponents. In some episodes, chefs had to cook using a hammock as their prep table, couldn’t use any pans, or had to other equally weird things!! While this show is a lot different than the other shows, it’s still very interesting and heartwarming! This show follows a man named Leon Logothetis who travels all around the world- with a twist. He travels around the world using only the kindness of strangers. “What do you mean, Sapphire?” you may ask. Well, Leon asks strangers for food, for them to pay gas for his motorcycle, and even asks a boat crew* if he can stay in their boat to cross the Atlantic Ocean to go to Europe. However, he doesn’t accept money, only kindness! This is such a cute show and proves that there are many kind people in the world! Thanks for reading this post! I had fun fangirling about my favorite TV shows!! If you watch any of these shows, please tell me your opinion! Have you seen any of these shows? What kinds of shows do you watch? What’s your favorite show? Do you love Tangled? Thanks to Fabrizio Conti on Unsplash for the featured image picture! People say don’t judge a book by it’s cover… yet I do. A lot. I have read many book solely based on the fact the cover is GORGEOUS. Today, I’m going to share some BEAUTIFUL covers! I haven’t read all of these- if I have, I’ll leave a rating! WOW. *clutches heart* This is just so beautiful and it deserves a hug!! I just wish the actual story was better? I loved the characters, and the family relationships was A+. Also, a mythology retelling?? YES! However, the world was one I’ve seen before and the plot was slooow. The ending was good, and I’ll be reading the second book! This is so BEAUTIFUL! It’s minimalistic, but the red stands out, and the font is gorgeous, and just WOW. I present to you the only middle grade book that’s ever made me cry!! Story Thieves is my all time favorite series, and this conclusion was just… WOW what a roller coaster. All of my smol children look SO GROWN UP?? I mean, Kiel with his smirk?? I LOVE MY WIZARD BOY!! I had such a hard time to choose between all of the Story Thieves covers- I mean, they’re all so AMAZING! You should DEFINITELY read this series!! It plays around with non-fictional and fictional worlds and characters. Also, the CHARACTERS?!?! I can’t stop raving about them- there’s a half-fictional character(!! ), a time traveler immune to paradoxes, a superhero who’s power is optimism, and the human form of a cinnamon roll. A) THE FLOWERS ARE GORGEOUS?!! B) The mint background is also GORGEOUS! C) The font is GORGEOUS!! While this book wasn’t my favorite, due to how slow it was, I LOVE the color scheme! The candles look really pretty and I love it. The blue and the gold match really nicely. What are some of your favorite book covers? Have you read any of these books? Credit to Alex Loup on Unsplash for featured image picture! I’m Back!! ft. Life updates, my vacation, and my button! (and lots of gelato)!! I haven’t posted in TWO MONTHS?! I’ve been on vacation for the past two months, and I had a great time!! However, now I’m back on WordPress and back to schooooool. Today, I’m going to update you all on my vacation and life!! I can’t say EVERYWHERE I went for privacy reasons, but one of the places I went to was Italy!! If you would like a photo dump, comment below!! The architecture was absolutely gorgeous!! We also ate gelato everyday, making the gelato lover in me VERY happy! This was a gelato sandwich!! Gelato in between two cookies with chocolate sauce? YES PLEASE! Over all, I had a great time and hope I can go again sometime soon! I read a TON! I decided to share some books I read. 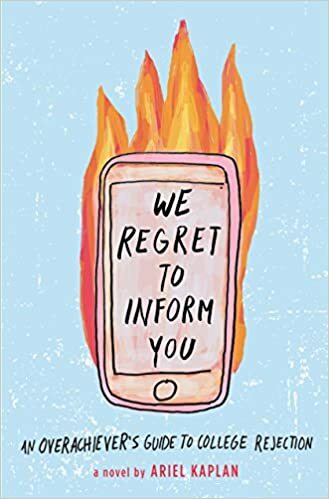 Holly Black is one of my favorite authors, and there’s been TONS of hype, so I went into it with INSANELY high expectations, and it did NOT disappoint!! I loved the characters, and the plot, and the relationships. My only complaint is that the beginning was a bit slow, but that’s it! Love and Gelato was my one of my favorite books last year, so I was so excited when I learned this book was coming out!! It was really fun, but some parts were a tad bit predictable. However, I loved the characters! Addie was such a fun and spunky character, and Rowan is SUCH A SWEET BOY. There wasn’t any gelato though??? Gelato is an essential of life. This book deserves a round of applause. This book DEFINITELY has some of the best world building I’ve ever read! The idea of the scythes and gleanings both fascinated and terrified me. I loved the characters!! Rowan and Citra had great personalities and a very interesting relationship. I definitely recommend this book! First things first… I have a button!!! Mukta designed this a while ago when she created the GORGEOUS design for my blog* but I kept forgetting to share it. I would love to swap buttons with all of you- please comment below if you want to too! I’ve been thinking of changing things up on my blog. To do this, I’m creating a blogging schedule! FINALLY. On Sundays, I’ll be posting my usual posts- random and weird posts, challenges, discussions, and lifestyle-ish posts. On Wednesdays, I’ll be posting bookish and writing posts. I mostly read these style of posts, and I want to try out literary blogging!! **… what?? is?? this?? paragraph????? Also, I have a Pinterest!! Click here follow along! That’s it!! I’m so excited to be back on the blogosphere!! Thanks to Corey Agopian on Unsplash for the featured image photo!! Hello friends! I’m traveling for… TWO FULL MONTHS!! I can’t tell you everywhere we’re going for privacy reasons, but our first stop is Italy!! Our plane is today! Unfortunately… I don’t know if we’ll have wifi, and you kind of need wifi to blog. So if I’m VERY unavtive for most of summer, you know why!! Don’t worry, I’ll be back before you know it! 😉 I love each and every one of you, and I hope your summer ROCKS!! Look forward to a ton of travel posts near the end of August! !